IRVINE, Calif., April 11, 2018 – (RealEstateRama) — CoreLogic®(NYSE: CLGX), a leading global property information, analytics and data-enabled solutions provider, today announced that real estate brokers can now use Trestle™ to receive listing data feeds from participating multiple listing organizations (MLOs). CoreLogic also announced that clients of its Matrix multiple listing platform can now use Trestle to manage their existing RETS data feeds in addition to RESO platinum-certified data feeds. Trestle is a national data marketplace that solves the fundamental data access problems faced by MLOs and the brokerages and technology providers who receive their data. Compatible with all multiple listing platforms, Trestle adheres to industry data standards and processes that facilitate software innovation, ensures portability, eliminates redundancy and achieves greater efficiency for real estate brokers. Today, Trestle subscribers represent nearly 130 real estate markets covering most of the major metro areas in the United States—and more are being added regularly. Many multiple listing organizations are migrating all their data recipients to Trestle, making it their exclusive listing distribution platform. For more information, MLOs and brokers can visit the Trestle website. 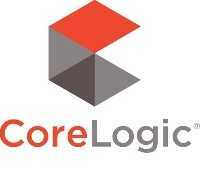 CORELOGIC, TRESTLE and the CoreLogic logo are trademarks of CoreLogic, Inc. and/or its subsidiaries. All other trademarks are the property of their respective owners.